Since 2000, Gina Marie Restivo has focused her professional efforts in a field of work and study that has since grown into a personal passion. Her professional path began as a special educator in the field of autism, wound its way towards behavioral consultation and parent training, and now includes psychological assessment and treatment. 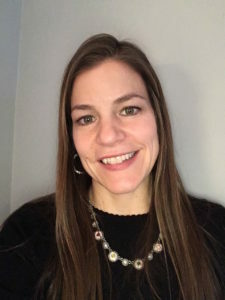 Dr. Restivo is a licensed psychologist in the State of New Jersey, Board Certified Behavior Analyst - Doctoral, and Nationally Certified School Psychologist. With a realistic approach that melds research with reality, Dr. Restivo has helped families and educational professionals support children with varied ability levels and challenging behaviors across settings. Children spend the majority of their days in school and at home, so it is justified that the adults in both of these natural settings should be able to efficiently and effectively support their youngsters as they develop adaptive behaviors that will be of benefit to all. Sharing valuable knowledge and approaching situations from a problem-solving perspective have become hallmarks of Dr. Restivo's approach - an approach that caregivers and professionals across the board continue to find surprisingly creative and successful, yet manageable. In a field that grows and changes on a daily basis, Dr. Restivo looks forward to continued opportunities to share her experiences with some, while still learning from others.